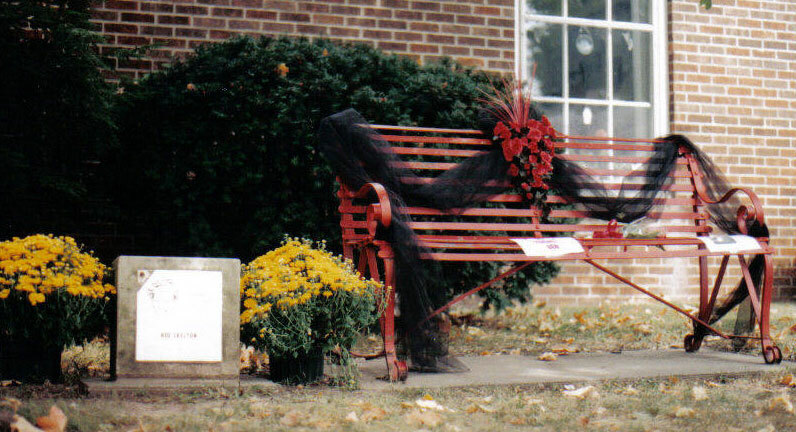 Vincennes, Indiana paid its respects by placing a black cloth on the Red Skelton bench in front of the newspaper office and a memorial at the high school. Vincennes University President, Dr. Phillip Summers began his vision for a performing arts center and museum named after Red Skelton. 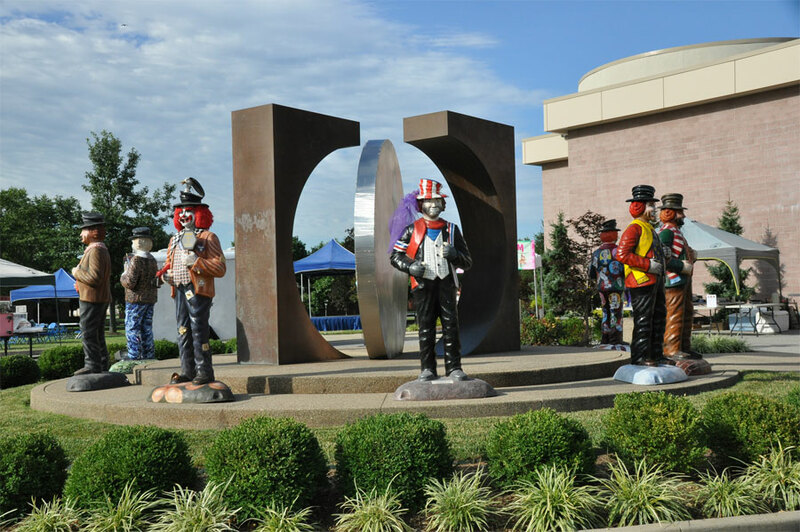 Lothian Skelton donated cement footprints of Red Skelton, Ed Wynn, and Charlie Chaplin to Vincennes University. 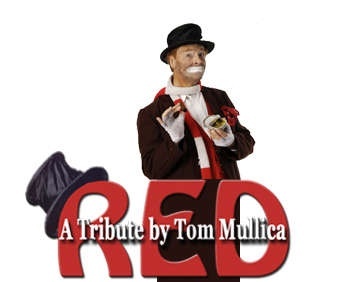 Red Skelton impersonator, Tom Mullica, performs at the high school. 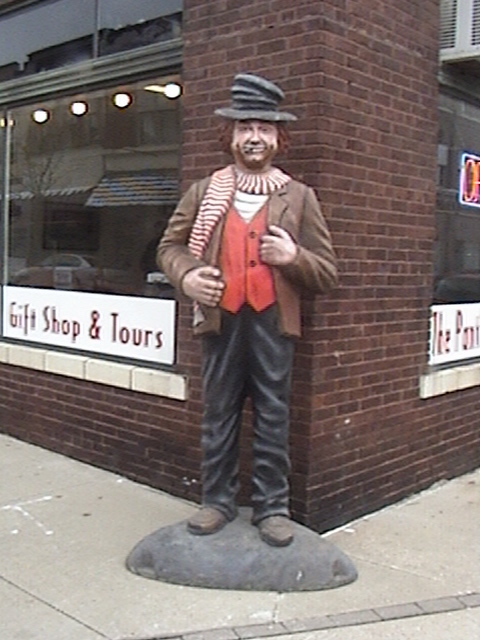 Vincennes University buys Red Skelton’s birthplace. Plans to make the home into a museum. Bob and Dolores Hope Foundation gives $10,000. 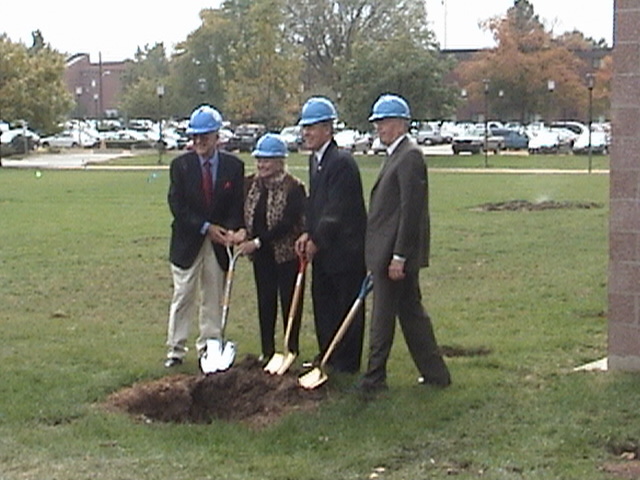 Construction of Performing Arts Center begins. More than 200 boxes from the estate arrive. “Merton of the Movies” performed by University students. This play was made into a movie starring Red Skelton. 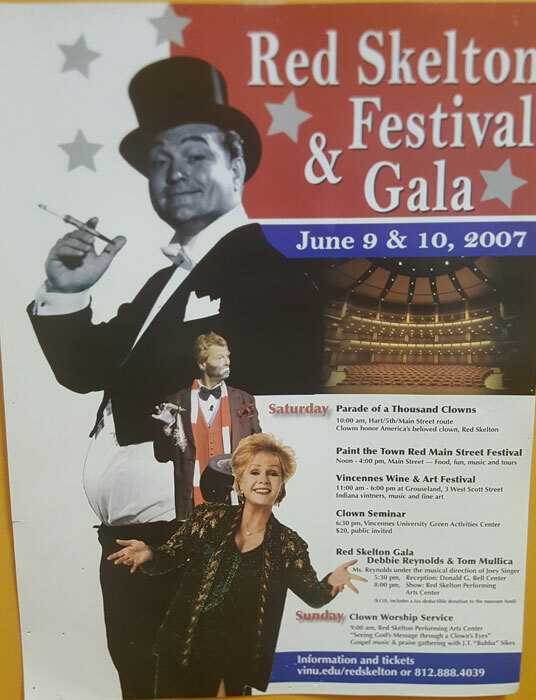 February – Dedication of Red Skelton Performance Arts Center. “Skelton in the Schools” program. 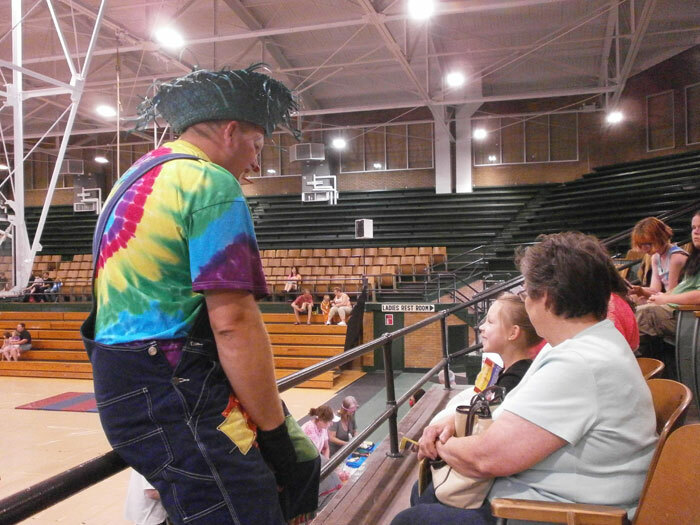 Special events in local school to educate the youth on Red Skelton. June – “Paint the Town Red”. 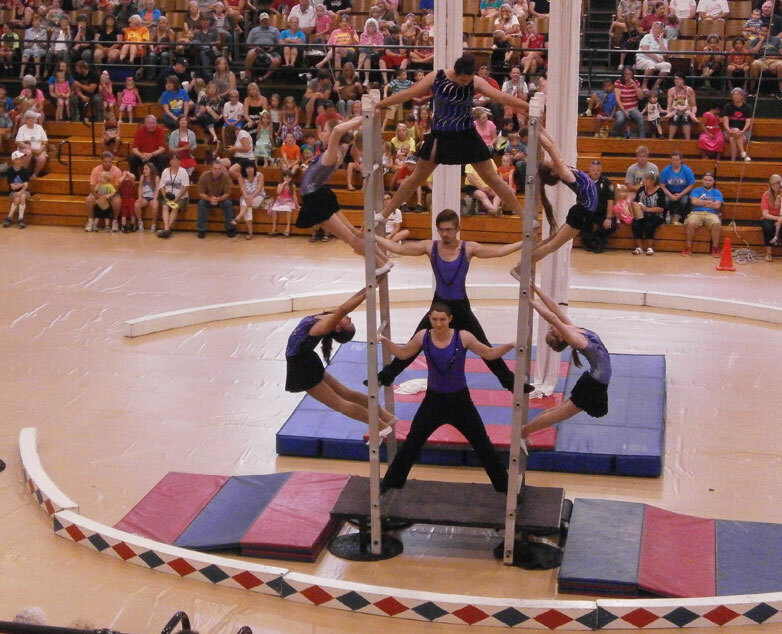 Downtown festival with clown parade and dedication of mural. Gala with the Smothers Brothers. 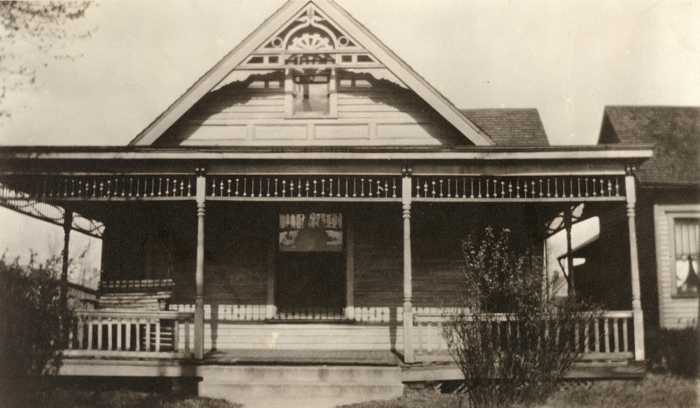 July – Birthday party with tour of birthplace. 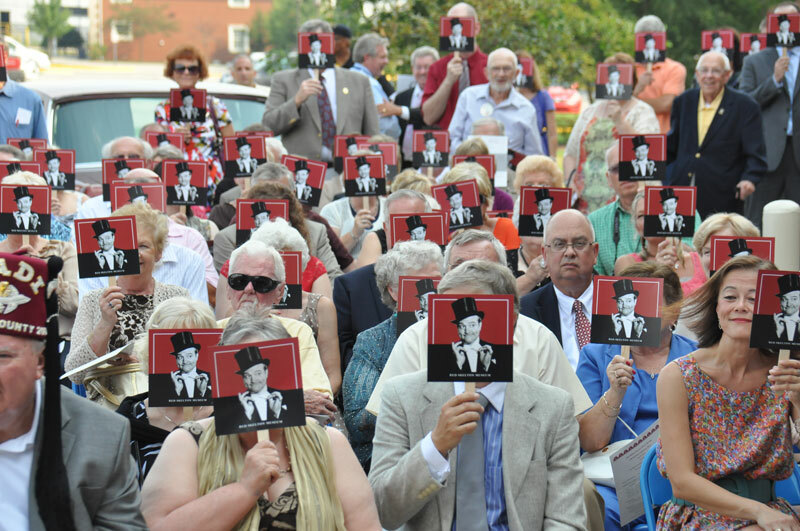 October – Ground breaking of Red Skelton Museum thanks to a $500,000 donation from JAMAC. 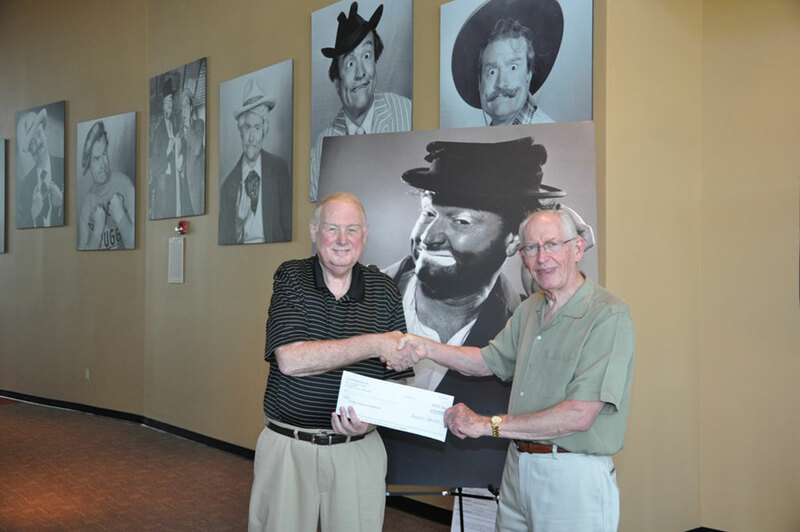 Red Skelton collection transferred from Vincennes University Foundation to the Red Skelton Foundation. 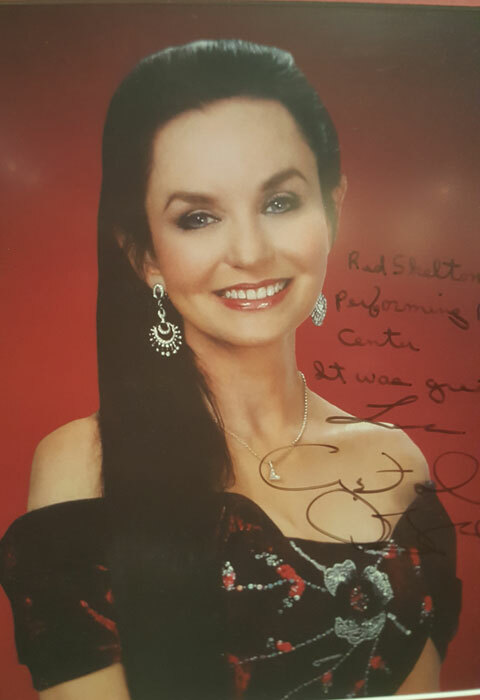 Gala with Crystal Gayle. Professional clowns across the nation. US Postal Stamp of the Red Skelton Show. 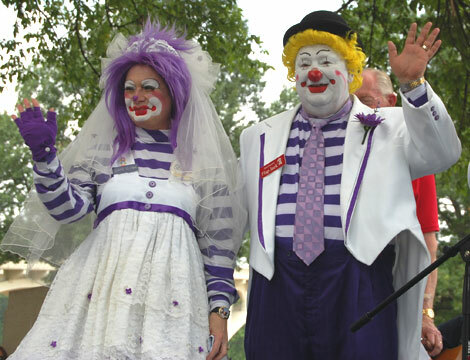 Downtown festival with a clown wedding. 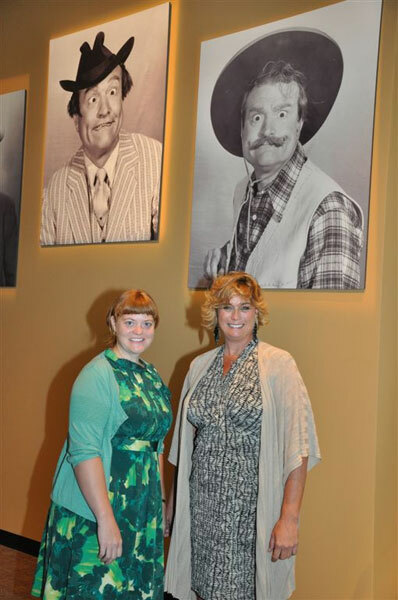 Red Skelton Museum partners with the Indian Historical Society. 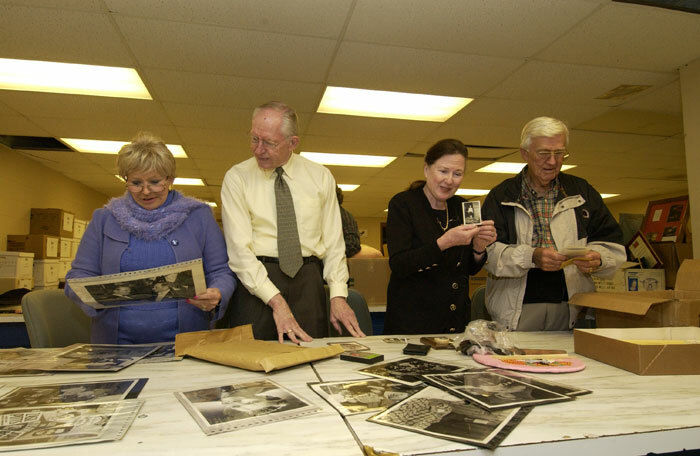 Items from the collection transferred to Indianapolis for preservation reasons.Frank Ladner donation of $1 million. Festival. Anne Pratt and Shirley Ray hired. Festival. 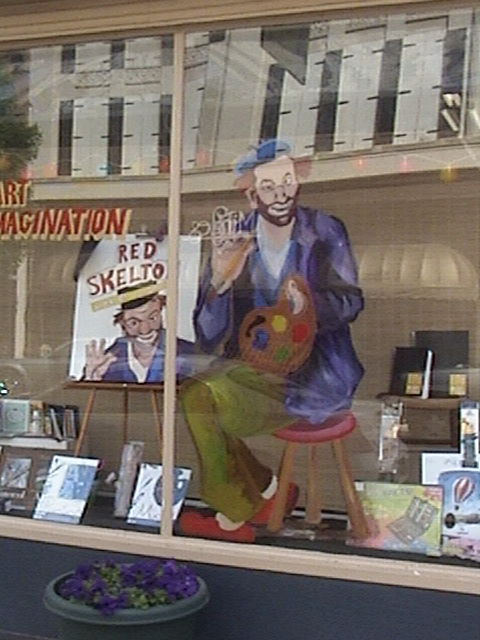 Exhibit in downtown historic Old State Bank. Special guest clowns played Bozo the Clown and Rusty on WGN Chicago. 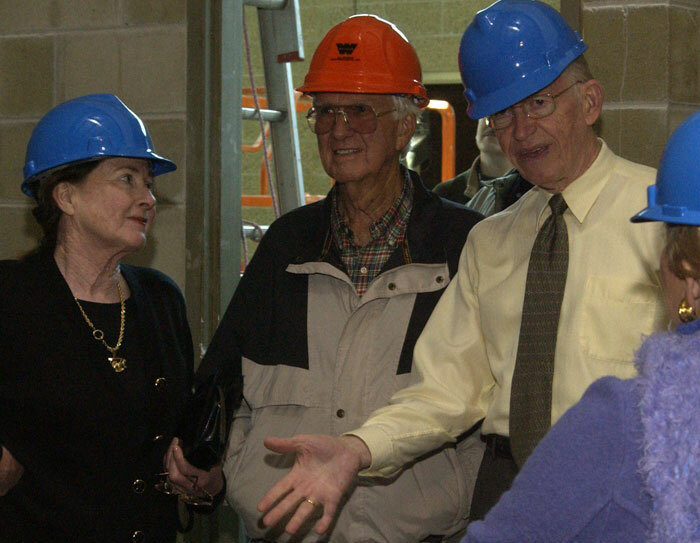 Lilly Endowment gives $1 million to Skelton museum. 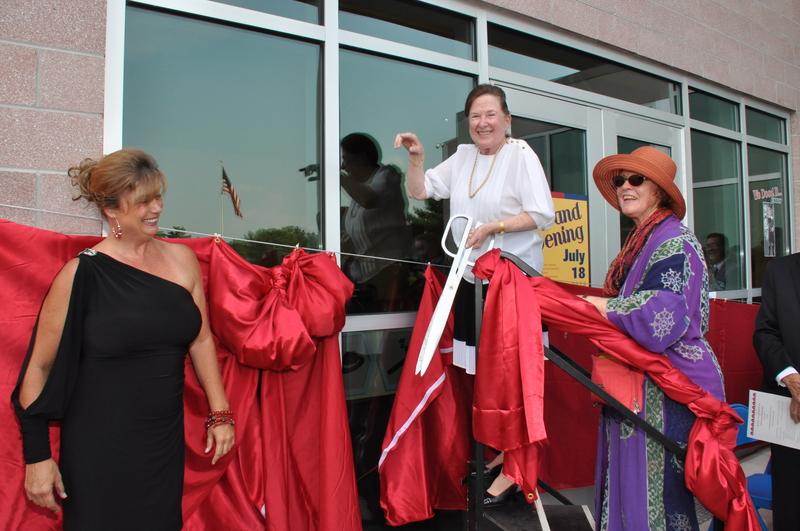 Masonic cornerstone Festival July 18th–Grand Opening of Red Skelton Museum (Phase 1) on Red’s 100th birthday. September – Dr. Phillip Summers died. 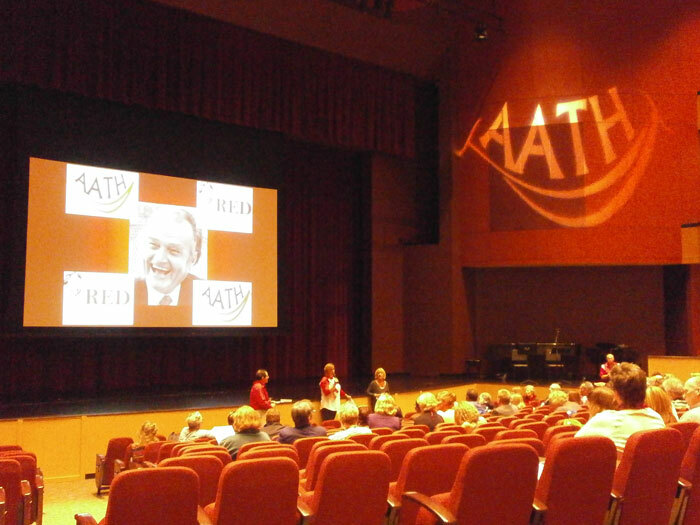 AATH Association for Applied and Therapeutic Humor international conference held here Festival July 18th – Opening of Phase 2 of the Red Skelton Museum with Tom Mullica. 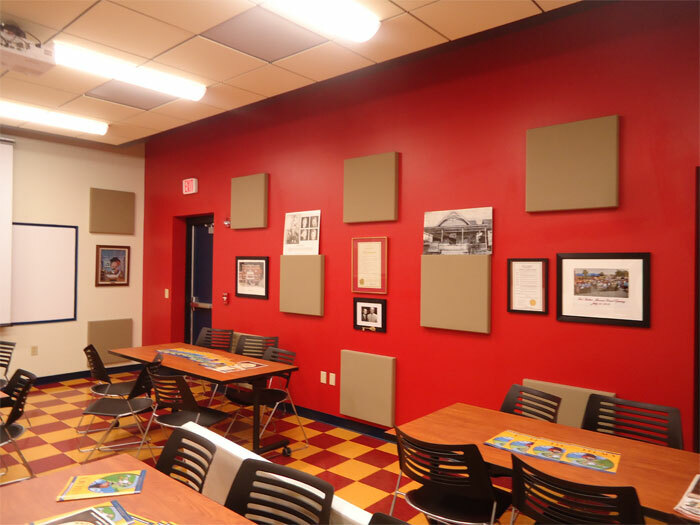 REDucation Room (Multimedia room for special events.) Festival on the Museum’s grounds. 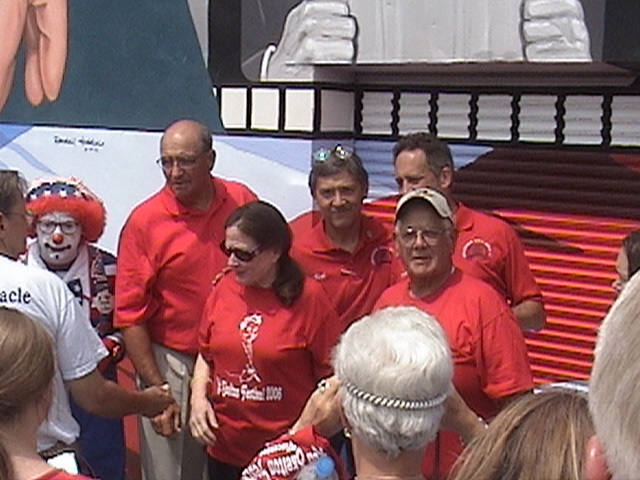 Brian Hoffman “Red Skelton” was representing Dr. Summers in the Indiana Bicentennial Torch Relay.